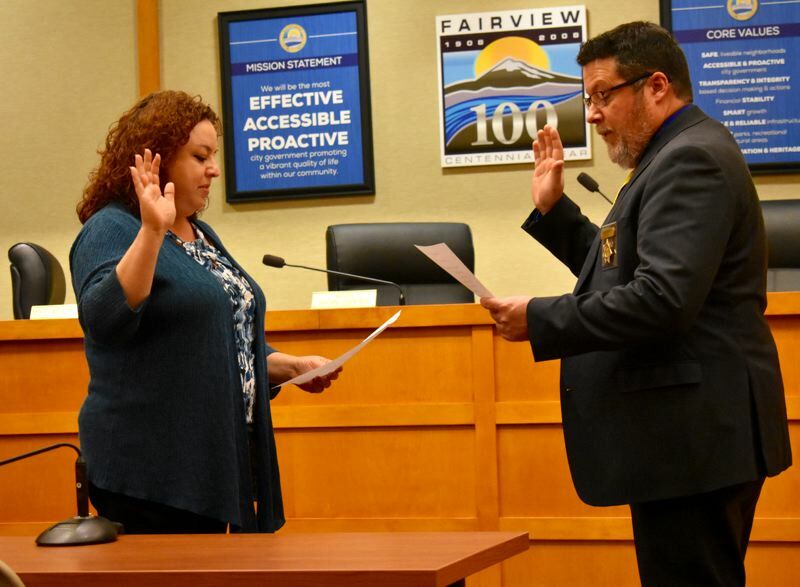 Recently elected members join incumbents on Fairview City Council for start of new year. 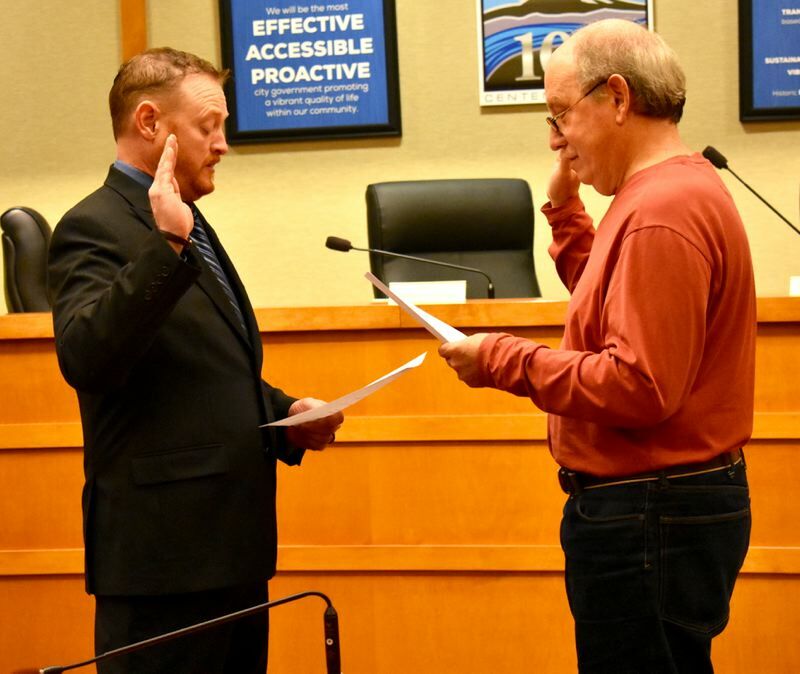 Brian Cooper was sworn in as Fairview's mayor on Wednesday, Jan. 2.
Cooper moved from City Council Position 6 to mayor after defeating incumbent Ted Tosterud by 40 votes in the November general election. "With the New Year and a new council, I look forward to diving into the work," Cooper said in an email to The Outlook. "Big changes are coming, and it's our job to guide those changes to the benefit of the people who live and work here. I look forward to engaging the community as mayor." Cooper is the owner of Cooper Tractor and Quality Diesel. 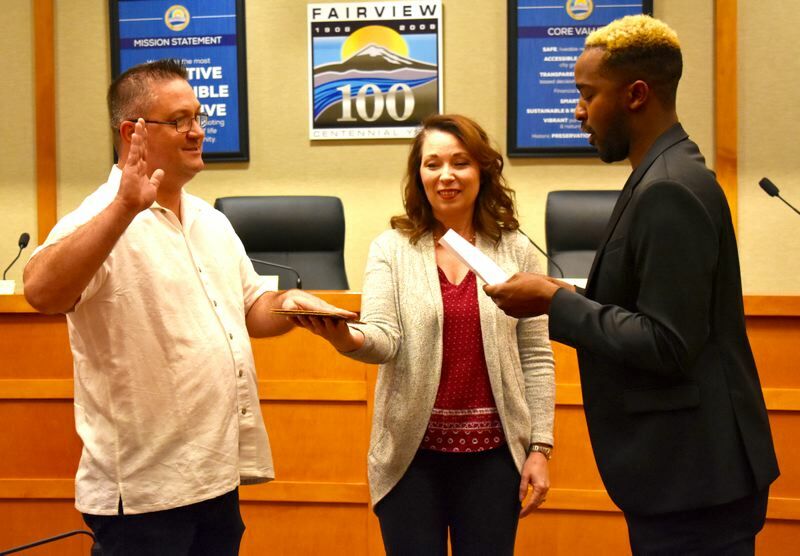 Two new councilors join Cooper on Fairview's seven-member board: Darren Riordan and Balwant Bhullar took their seats after a swearing-in ceremony at City Hall, 1300 N.E. Village St. They were joined at the dais by incumbents Keith Kudrna, Mike Weatherby, Cathi Forsythe and Natalie Voruz. Voruz was sworn in to her second four-year term for Position 5. At the new council's first meeting, Voruz was elected City Council president by unanimous vote. The council terms for Weatherby, Forsythe and Kudrna end in 2020. Prior to serving on council, Voruz volunteered on the Fairview Arts and Community Events Advisory Committee. She volunteers at Reynolds High School, has coached youth soccer and has served as a mentor for teenage mothers. She defeated challenger Edward Jones in the general election. Riordan defeated Antonia Kreamier in the general election for council Position 6. The owner of information technology company Custom Soft Technical Services, Riordan's priorities include supporting municipal recreation programs, enhancing public safety. 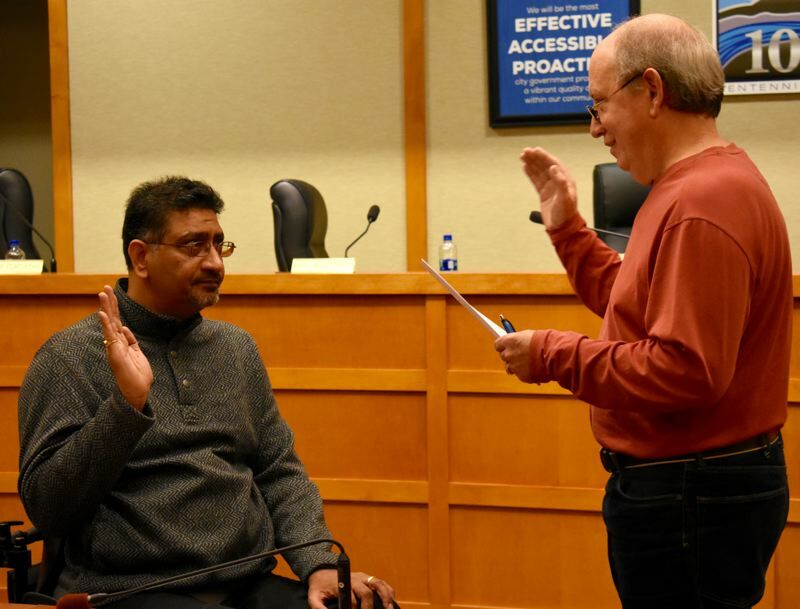 Bhullar, who was sworn in to council Position 4, defeated Russell Williams in the November election. He replaces councilor Lisa Barton Mullins, who decided to not run for re-election. Bhullar said he plans to promote business incentives for Fairview. Bhullar served a short stint when he was elected to Fairview Position 2 in 2008, but stepped down in July 2009 citing health reasons. After the newly elected board member concluded their first meeting, they headed to Carlino's Pizza and Deli on Halsey Street to celebrate.